Kleve, February 15, 2018. 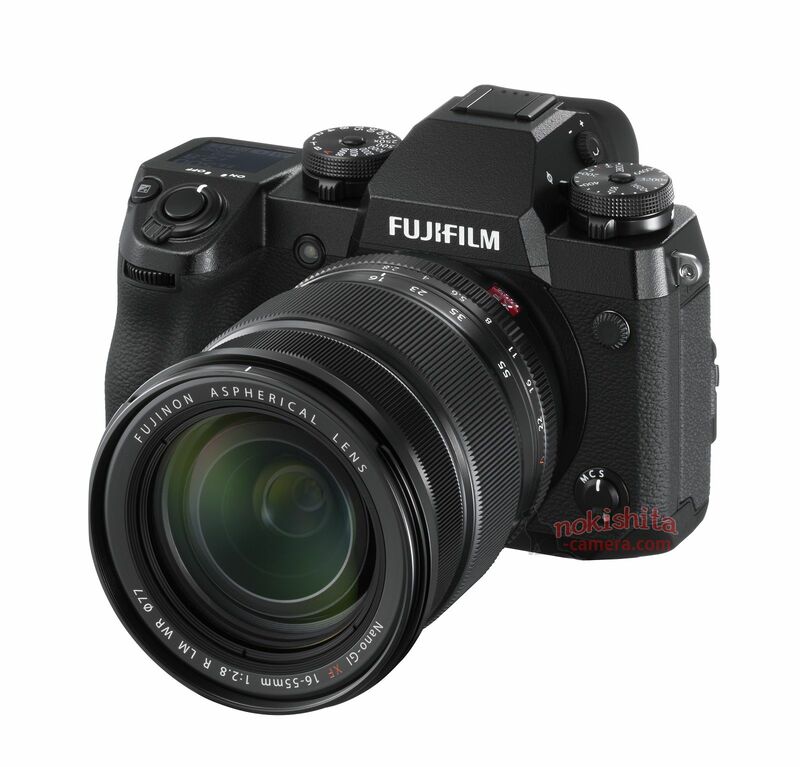 Professional image quality, rugged housing and advanced video functionality – with the mirrorless system camera FUJIFILM X-H1 extends FUJIFILM’s multi-award winning X series to date most powerful model. It offers a number of features specific to the particular needs of professional photographers and videographers. are cut. The camera fits perfectly with the new professional FUJINON Cine lenses MKX18-55mmT2.9 and MKX50-135mm T2.9 for the X bayonet, both for May 2018 are announced. In addition, it is of course compatible with all stationary lenses of the XF and XC series, which will be available by the end of the year the high-speed telephoto lens XF200mmF2 R LM OIS WR and the ultra-wide-angle Zoom lens XF8-16mmF 2.8 R WR is extended. The internal image stabilization system (IBIS), the first time in a camera of the X series is used, has three axial acceleration sensors, three axial gyrosensors and a very powerful dual-processor based the measured data performs about 10,000 calculations per second. In Combination with the effective compensation mechanism will be a special Precise image stabilization and thus achieved an uncompromising image quality. This performance is made possible by the use of state-of-the-art technology Production technologies. So the individual components of the Image stabilization unit positioned by means of a laser measurement, whereby a twice as high degree of precision as conventional Manufacturing processes. As part of the inspection and adjustment of each one Camera will ensure that the sensor as with X series models without integrated image stabilization is aligned absolutely parallel to the image plane. The closure is based on a spring mechanism, the finest vibrations in the Interior of the housing minimized. With the electronic first shutter curtain and the completely electronic shutter make vibration effects practical completely exclude. The X-H1 has a 24.3 megapixel X-Trans CMOS III sensor * 3 without pass filter and a powerful X-Pro processor. The same combination already comes in the internationally award-winning professional X series Models X-Pro2 and X-T2 are used. In conjunction with the high quality FUJINON lenses and FUJIFILM’s over 80 years of experience in color reproduction, outstanding images can be produced with the X-H1. Even finest details of the texture of objects become with high plastic appearance reproduced, which makes the unique atmosphere of a scene special Way is recorded. The electronic viewfinder with a resolution of 3.69 million pixels and 0.75x magnification provides leading performance in the segment of mirrorless system cameras. Due to the ultra-short response time of only 0.005 seconds and a fast frame rate of 100 frames per second Movements in the viewfinder image are extremely smooth. Even With dynamic subjects, the photographer can capture the image very precisely. tune and compose the picture exactly according to his ideas. Light, for example in a sports hall, can be the result of exposure metering distort. To avoid this effect, the X-H1 has a flicker reducer mode that ensures reliable exposure even in difficult lighting conditions. guaranteed results. * 1 In combination with the XF35mmF1.4. * 3 X-Trans is a trademark or registered trademark of FUJIFILM. The X-Trans CMOS III sensor uses a unique pixel arrangement to avoid the appearance of moires and false colors even without reduce optical low-pass filter. * 4 The color space is defined according to ITU-R BT.2020. This entry was posted in Fujifilm X-H1 and tagged Fuji Rumors, Fuji X-H1, Fuji XH1, Fujifilm, Fujifilm Rumors, Fujifilm XH1, FujifilmRumors, Fujirumors. Bookmark the permalink. Trackbacks are closed, but you can post a comment.